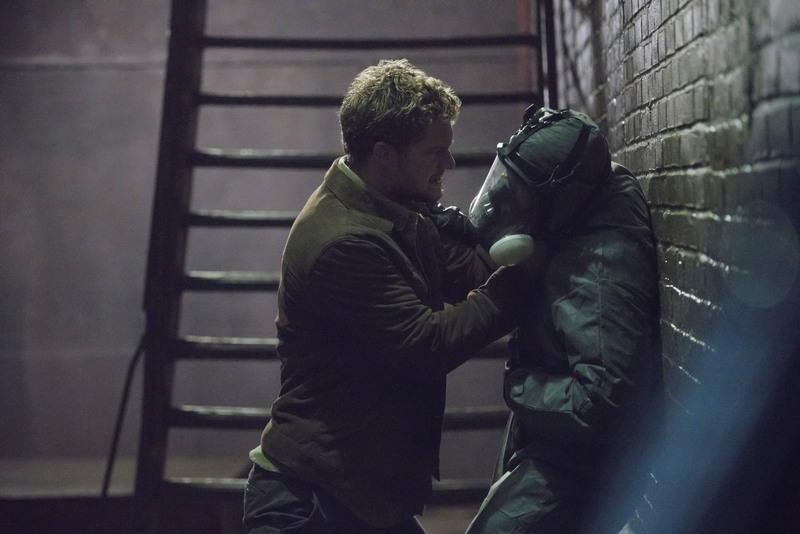 Following a cascade of interviews and photos from the upcoming miniseries, Netflix and Marvel Television have debuted a pair of new images from "The Defenders." 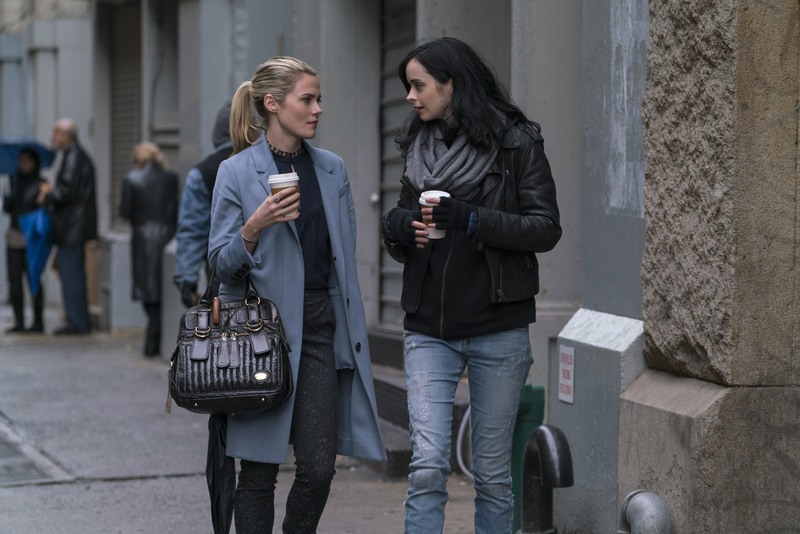 The new shots depict Krysten Ritter's Jessica Jones talking with Rachael Taylor's Trish Walker, whom many speculate will ultimately become the superhero Hellcat, and Finn Jones' Iron Fist getting physical with a gas mask-wearing criminal. 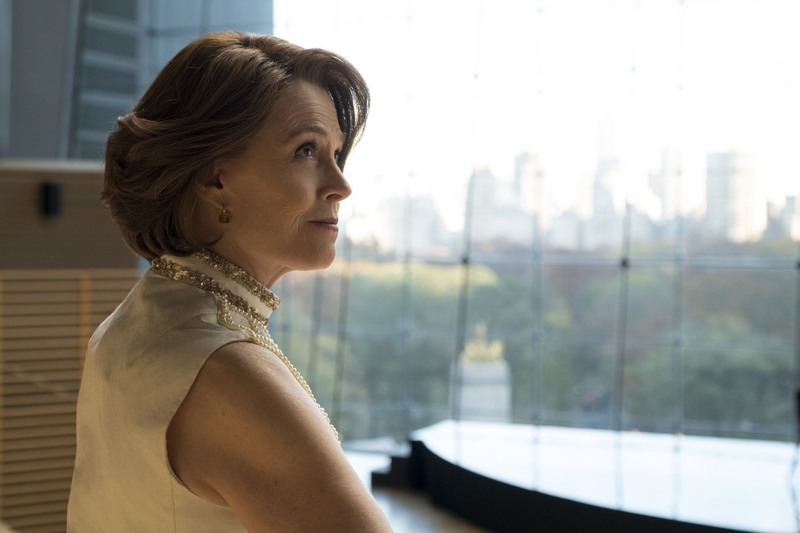 A third photo, showcasing Sigourney Weaver's mysterious antagonist Alexandra, actually debuted previously in Entertainment Weekly. EW's coverage of "The Defenders" revealed details about the dynamic between Mike Colter's Luke Cage and Jones' Danny Rand, the "cat-and-mouse" game played by Charlie Cox's Daredevil and Ritter's Jones, and the "street-level" nature of the crisis that brings the four heroes together. Arriving this summer on Netflix, the eight-episode "Defenders" also stars Elodie Yung as Elektra, Simone Missick as Misty Knight, Deborah Ann Woll as Karen Page, Elden Henson as Foggy Nelson, Carrie-Anne Moss as Jeri Hogarth, Scott Glenn as Stick, Rosario Dawson as Claire Temple, Jessica Henwick as Colleen Wing and Eka Darville as Malcolm Ducasse.